At last night's competitive cheer meet we had the pleasure of watching teams from all over Metro Detroit compete against each other. It was a masterclass in acrobatic stunts, crowd motivating, and pure athleticism. What ultimately impressed the most, however, were those teams that could synchronize at the high level that the routine's demanded. This meant more than "just" doing back flips. This meant that when a cheerleader flipped, she did so at the exact moment the rest of her team did, stayed in the air for the same amount of time, that her toes returned to the ground simultaneously with her teammates. That level of coordination- and I mean that in both senses of the word- is not only unfathomable for the general public; it's unfathomable for most athletes. It should come as little surprise that pushing one's body to this degree can sometimes have consequences. According to ABC News, competitive cheerleading is the 5th most injury prone high school sport. Injury will of course happen inevitably with any highly physical activity, but cheerleaders take knocks on the same level as football, lacrosse, and hockey players, yet so rarely get mentioned in the same breath on people's personal list of 'tough athletes'. Case in point: Marisela Vazquez of Woodhaven High School. Marisela was injured during training, where a bad landing put her out of commission for three weeks. She was- despite having a heavily bandaged and braced knee- still present at the competition and in uniform. Marisela was practicing good sportsmanship, and she was there to support her fellow Woodhaven Warriors in any way she could. 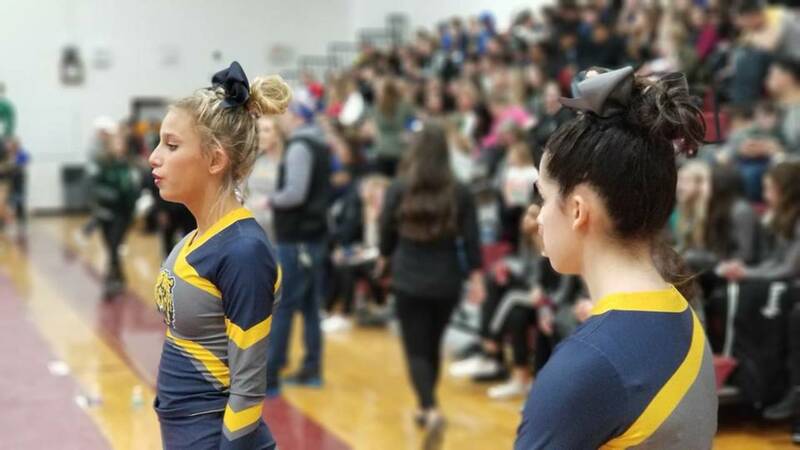 The skill, the tenacity, and the heart on display last night should make anyone a fan of competitive cheer. If you haven't seen these performances, I urge you to go through our 4Frenzy videos and give it a shot. I'm confident you'll be impressed! If you know of any exceptional high school athletes, such as Maricela, vote for them in the 4Frenzy Fan Choice Awards.